Note that the web technologies and hosting are whatever you want them to be and access to the Office document model is provided via Office.js and there is a very clear security boundary between client and cloud as the content is hosted within iframes and calls to and from the object model are marshalled via postMessage. In addition, you need a manifest which is an xml file which describes your app to the store. 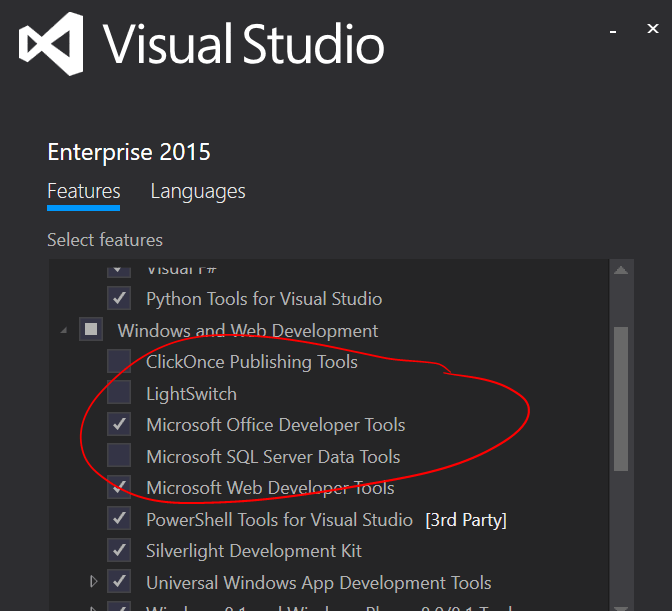 If you have Visual Studio 2015 installed and you ticked the ‘Microsoft Office Developer Tools’ option when you installed then you are good to go. You can use NAPA – an online IDE. https://www.napacloudapp.com/Getting-Started (you need a Microsoft Account to log in here). 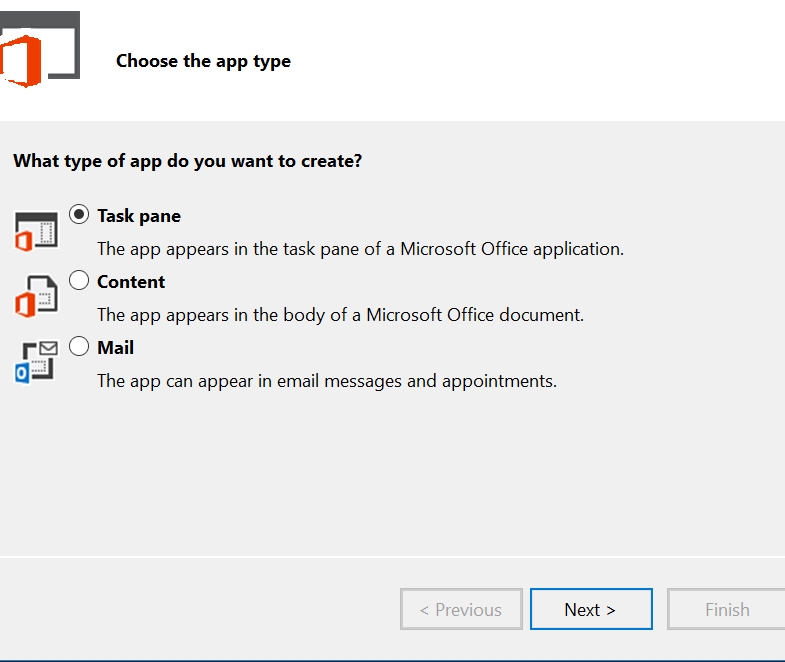 Use the Yeoman generator (yo office) http://dev.office.com/blogs/creating-office-add-ins-with-any-editor-introducing-yo-office for a more lightweight experience. When I am on my mac I like to use the Yeoman generator with Visual Studio Code but insert your editor of choice here. We really only need to generate the manifest really and have a way to upload this into the client application for debugging. 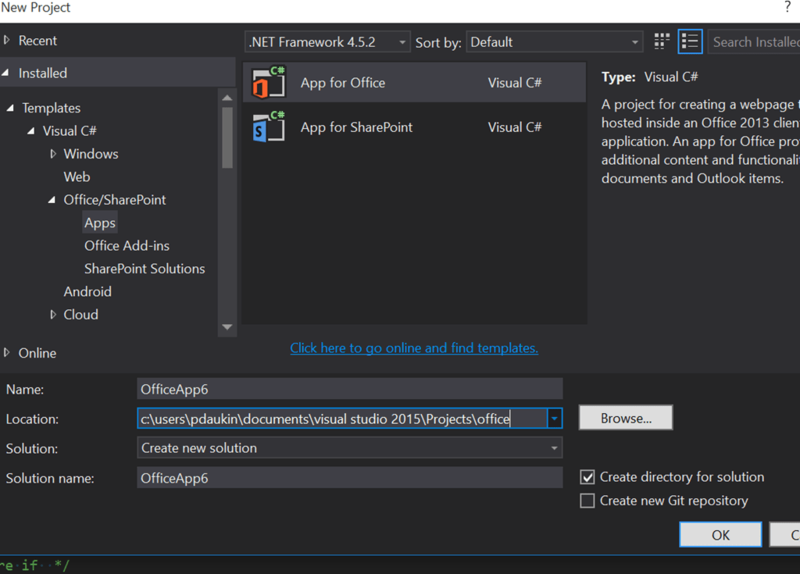 If you use Visual Studio here then it will automate that for you so is convenient. You can also set up an add-in catalog and then debug your add-in from within the browser using the F12 developer tools. You get this option (be careful the naming convention for add-ins was previously App!). The project wizard gives you a choice for the kind of Add-in you want to develop. After generating we get a solution with two projects; one holding the manifest and one for an example web app. The example app is good to get started with but here you can point the manifest at any web url and develop your add-in that way. 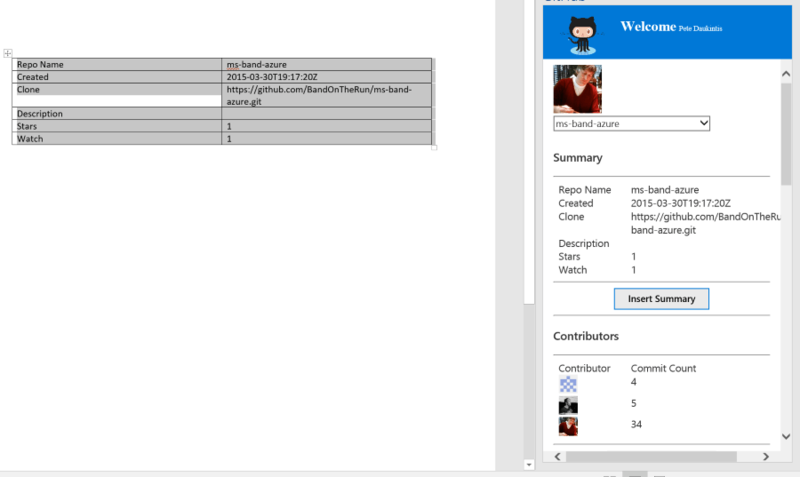 I used the sample app (which includes Office.js and some css) and added some scripts.I wanted a way to get some data from Github to email or add to Excel and imagined that it would fit nicely into a wider development team scenario. So, I discovered Github.js https://github.com/michael/github and along with Knockout.js and the Office UI Fabric I had all of the moving parts for my Add-In. Knockout allows you to declaratively data bind a view model to HTML which is a concept I favour having done a lot of XAML data binding in the past. So I created a ViewModel using ko.observable which retrieved that data from Github (using Github.js). I then simply bound the data to my HTML page for display within the Add-In. This data could then be transformed into table form for injecting into the Office document at the users cursor. 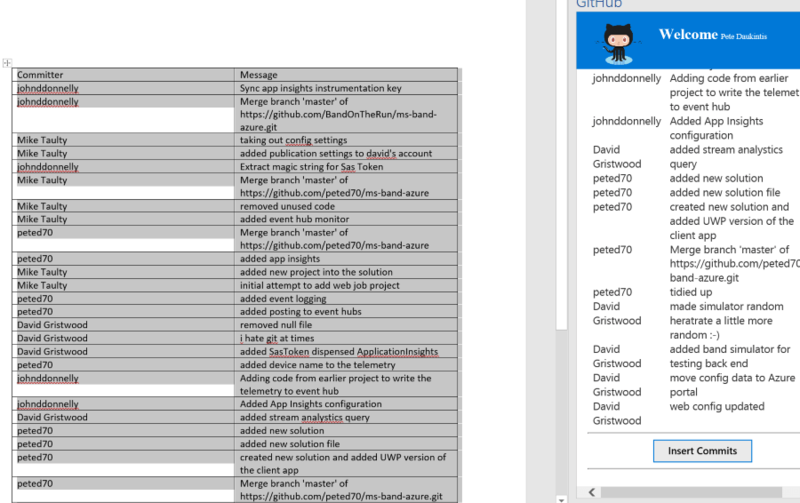 I allowed tables for a project summary, contributors and number of contributions and a commit list.